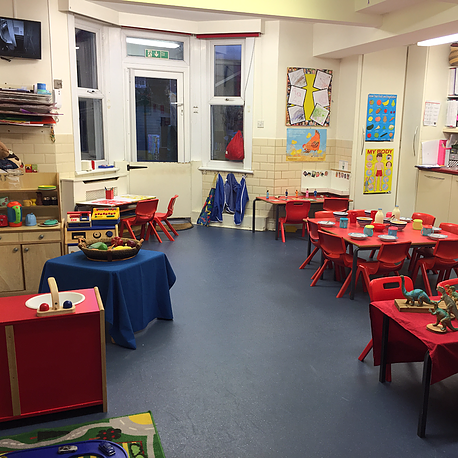 Our large Victorian house has been converted into three large rooms for our children. 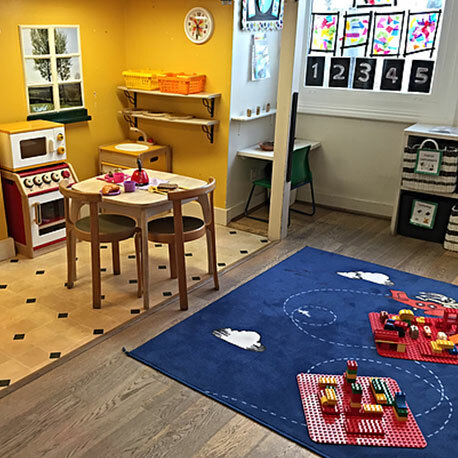 Each room is filled with educational toys, books and of course, plenty of space for messy and imaginative play. We also have a lovely big, south facing garden which all children spend time in on a daily basis. Our First Mates Room has space for up to nine of our youngest children, from the ages of three months to two years. Cared for by three of the Tug Boat crew, this bright and airy room is divided into into three sections: a quiet sleep area where we provide a cot for each baby; a nappy changing room and the main deck, where all the fun and carefully thought out activities happen on a daily basis. The Captains Room is fun, colourful and always full of laughter with up to twelve children, aged two to three years, and three members of the Tug Boat crew. 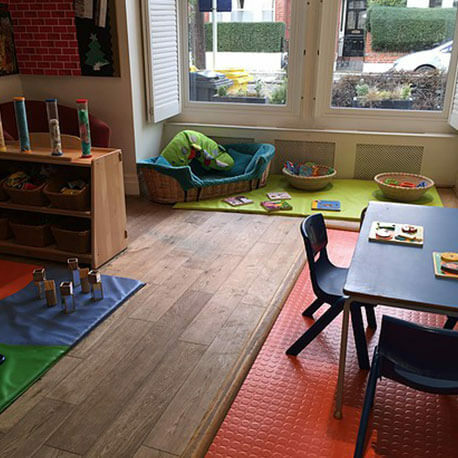 The spacious room has a cosy book balcony, a home corner where children can develop their imaginative role play and plenty of opportunities for messy play. Our Captains also benefit from having direct access to the garden so can encourage free-flow between the indoors and outdoors. The Admirals Room sits on the first floor and is home to thirteen children, aged three to five years with two members of the Tug Boat crew. 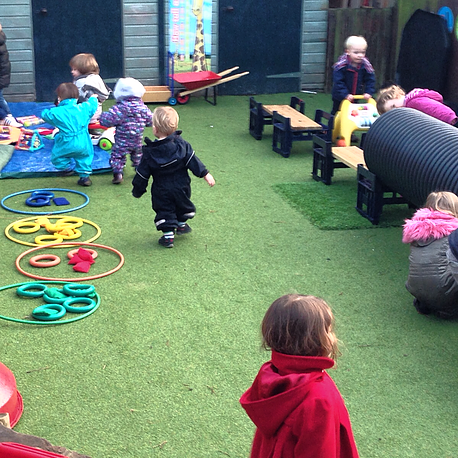 Activities and learning are aimed at building confidence and independence – from circle time to garden play. As well as helping to get them ready for school with a focus on phonics, letter and number recognition and the beginnings of reading and writing. 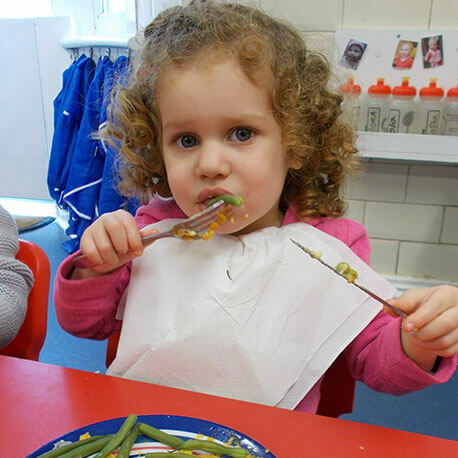 We know that developing healthy eating habits from a young age are critical, and that’s why we are passionate about providing fresh, tasty and nutritious meals. Our seasonal menu is developed and prepared by our chef – focusing on homemade, well-balanced and diverse meals which help develop little tastebuds. We also take great care in sourcing high quality ingredients including free range meat and organic milk. 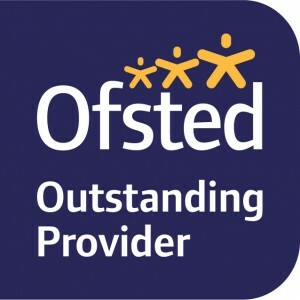 Our lovely big garden is one of the most popular areas with both children and staff. Children have a chance to run around, take on new challenges with the use of bikes and the climbing frame, as well as imaginitive play in our small world area where they can build sandcastles and play with dinosaurs. A large fort allows for story-telling and role play and when not watering the plants they have grown, lots of splashing around.